Happy New Year & The Listener! A very Happy & Healthy New Year to you all! Let’s hope 2018 is an incredible one. I’m delighted to start off 2018 by officially announcing our special Oversized Signed & Numbered Limited Hardcover edition of Robert McCammon’s forthcoming brand-new novel THE LISTENER! This is one of Robert McCammon’s best works to date and is already receiving starred and rave reviews. Cemetery Dance called it a ‘game changer’, and they’re not wrong. It truly is an incredible book. This brand-new novel is being published first in the US by Cemetery Dance Publications in February 2018, and their Signed Limited edition sold out in no time. Their trade hardcover edition is still available, and our special Oversized Signed & Numbered Limited Hardcover edition will be published in March/April. 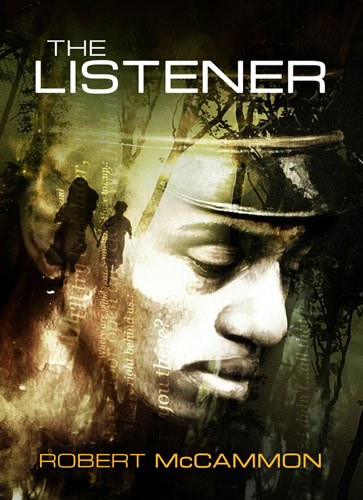 The Listener is about the kidnapping of two children and is set in New Orleans in 1934. This is a book I've been wanting to write for several years, since I discovered what an epidemic (a tragic epidemic, at that) kidnapping became during the desperation of the Great Depression. It got to be so bad that the New York Times began running a box at the top of the front page listing who had been kidnapped, and among those victims, which ones had been returned to their families. Desperate times, indeed. The Listener isn't exactly supernatural, though there is a "strange" element. I understand we all enjoy reading about vampires, werewolves, ghoulies, and other creatures of the night, but the most fearsome and deadly monster is the human being…and I believe I have created two of the most fearsome and horrific human beings in The Listener that you could ever fear to meet. And these people, I think, are likely the kind who would kidnap two children and not have much concern whether the kids lived or died. Grim stuff, but you can be sure there's someone in The Listener who embodies all the good qualities of the human kind who will move Heaven and Earth to find the children…though he's probably the last person anyone would think of as a "hero." Thanks so much to everyone who has already preordered their copy, your support is truly overwhelming. I really hope you enjoyed your new year celebrations, and may 2018 bring you nothing but good things.